The following photos show a green Eastern Pondhawk dragonfly (Erythemis simplicicollis) spotted on the earthen dam at Hidden Pond, a small lake located at Meadowood Recreation Area in Fairfax County, Virginia USA. Male Eastern Pondhawks are blue and females are green so this dragonfly must be female, right? Wrong! This individual is an immature male, as indicated by its coloration and terminal appendages. 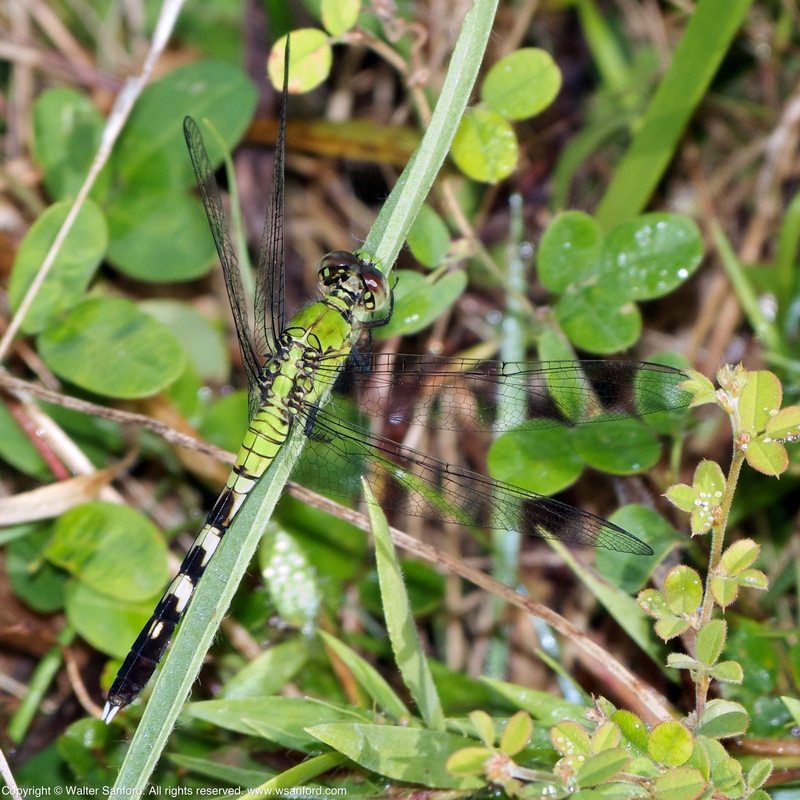 Editor’s Note: This is Part 1 in a three-part series of photoblog posts illustrating color change in male Eastern Pondhawk dragonflies as they mature. 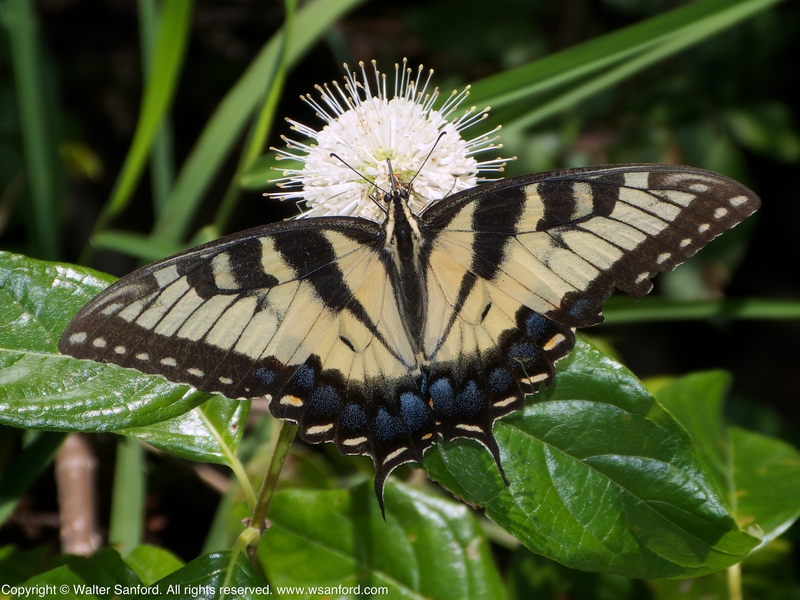 The following photograph shows an Eastern Tiger Swallowtail butterfly (Papilio glaucus) feeding on Common Buttonbush (Cephalanthus occidentalis) in the central wetland area at Huntley Meadows Park, Fairfax County, Virginia USA. Tiger Swallowtail is the State Insect of Virginia. The preceding photograph shows a view from the shoreline of Accotink Bay. 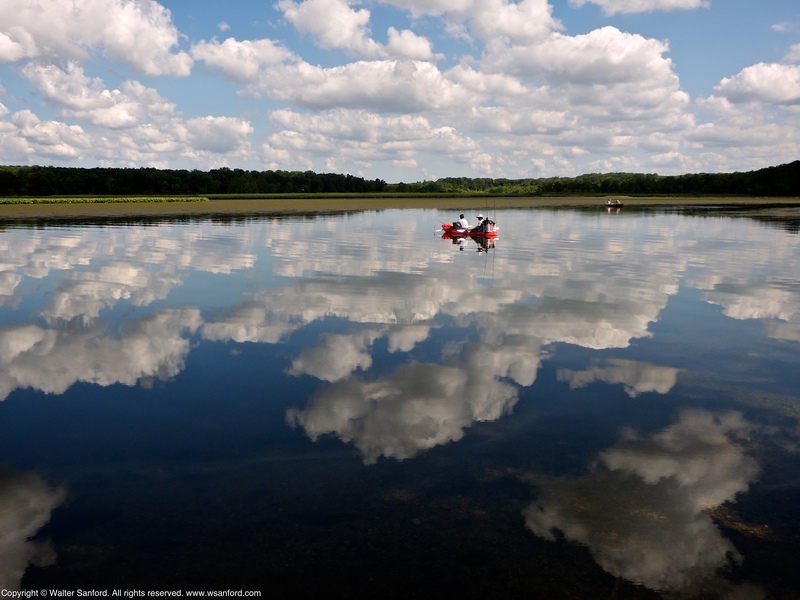 The photo was taken during a photowalk on 16 August 2013 at Accotink Bay Wildlife Refuge, a 1,200 acre preserve located at Army Garrison Fort Belvoir, Fairfax County, Virginia USA. 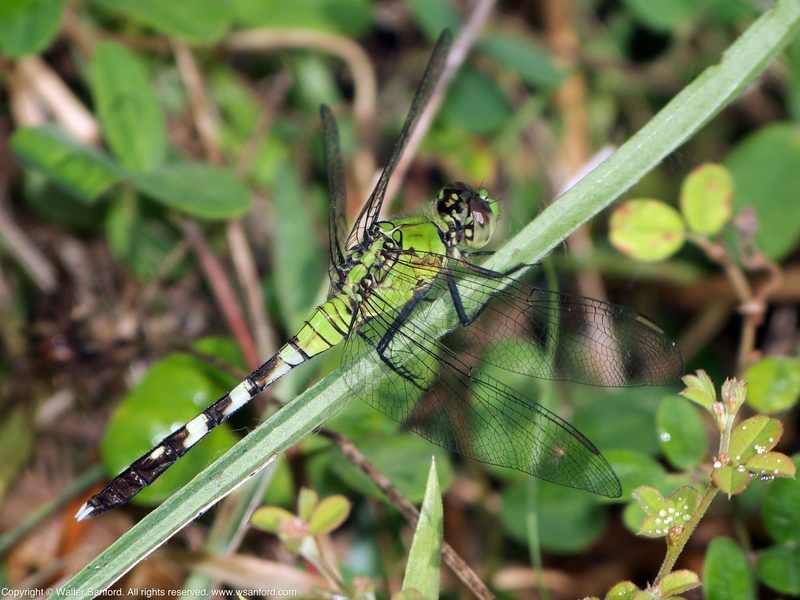 The following gallery shows a Needham’s Skimmer dragonfly (Libellula needhami) spotted near the head end of “Basin Trail,” Accotink Bay Wildlife Refuge, a 1,200 acre preserve located at Army Garrison Fort Belvoir, Fairfax County, Virginia USA. This individual is a female, as indicated by its coloration and terminal appendages. 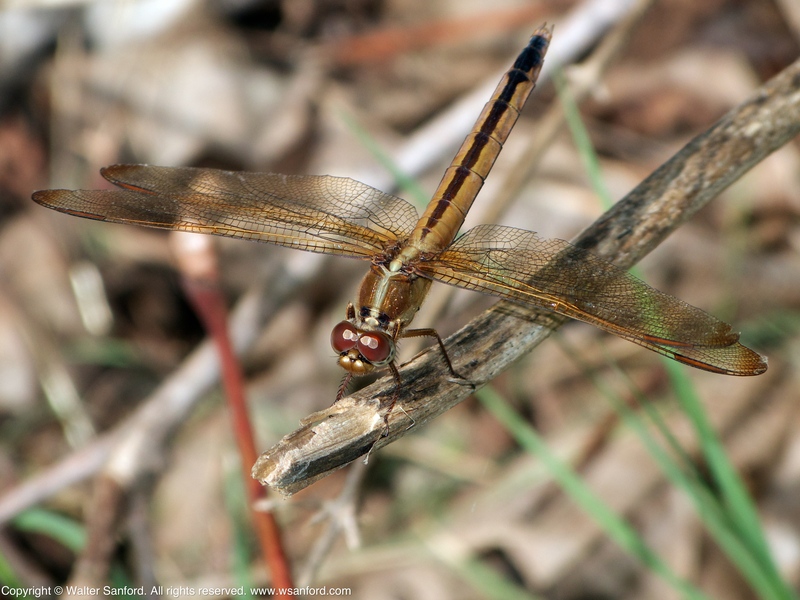 The following gallery shows a Needham’s Skimmer dragonfly (Libellula needhami) spotted in an open field along the trail to Hidden Pond, a small lake located at Meadowood Recreation Area in Fairfax County, Virginia USA. This individual is a female, as indicated by its coloration and terminal appendages. 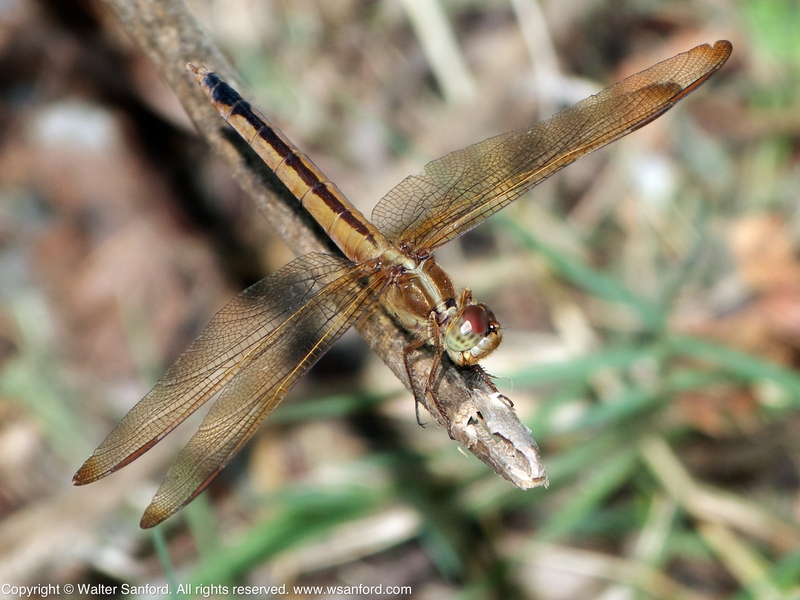 The following gallery features a Widow Skimmer dragonfly (Libellula luctuosa). This individual is a female, as indicated by its coloration and terminal appendages. Photo 1: Dragonfly is excreting. Notice anything unusual about Photo 1? Female dragonflies have a pair of cerci (superior appendages) at the end of their abdomen, so what is the third “appendage” between the cerci? Well, I may have scared the excrement out of the dragonfly! 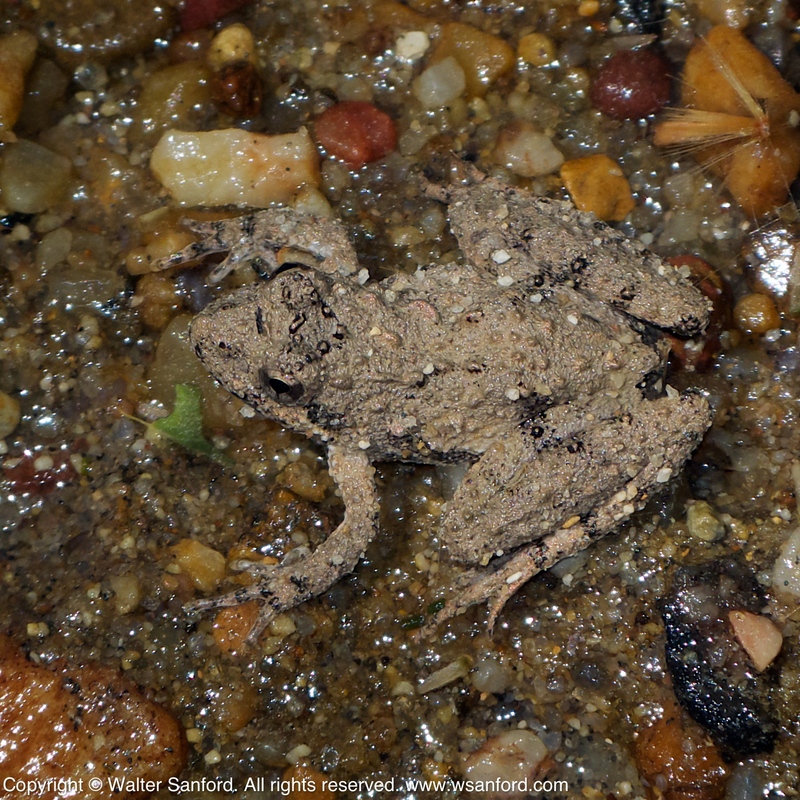 This specimen was spotted on the earthen dam at Hidden Pond, a small lake located at Meadowood Recreation Area in Fairfax County, Virginia USA. You may be much more likely to find females, as well as immatures, away from water, but males are much more easily found at the water. Source Credit: Paulson, Dennis (2011-12-19). Dragonflies and Damselflies of the East (Princeton Field Guides) (Kindle Location 639). Princeton University Press. Kindle Edition. It’s worth noting I found one female Widow Skimmer dragonfly near water and one mature male far from water (shown in my last post) during the same photowalk — usually more male dragonflies than females are seen near water. The following gallery features a Widow Skimmer dragonfly (Libellula luctuosa) spotted in an open field along the trail to Hidden Pond, a small lake located at Meadowood Recreation Area in Fairfax County, Virginia USA. This individual is a male, as indicated by its coloration and terminal appendages. 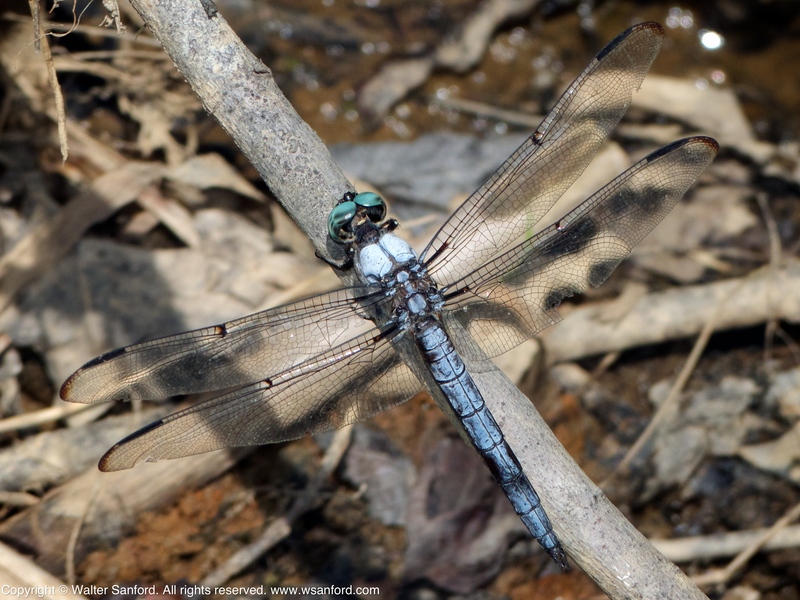 The following photograph shows a Great Blue Skimmer dragonfly (Libellula vibrans) spotted at Huntley Meadows Park, Fairfax County, Virginia USA. This individual is an adult male that has mated many times. Males that have mated often have marks on their abdomen where the female legs have scratched them. This is especially obvious in species in which males develop pruinosity, as the pruinosity on the midabdomen is scratched off, and the signs are visible at some distance. Source Credit: Paulson, Dennis (2011-12-19). Dragonflies and Damselflies of the East (Princeton Field Guides) (Kindle Locations 390-392). Princeton University Press. Kindle Edition. 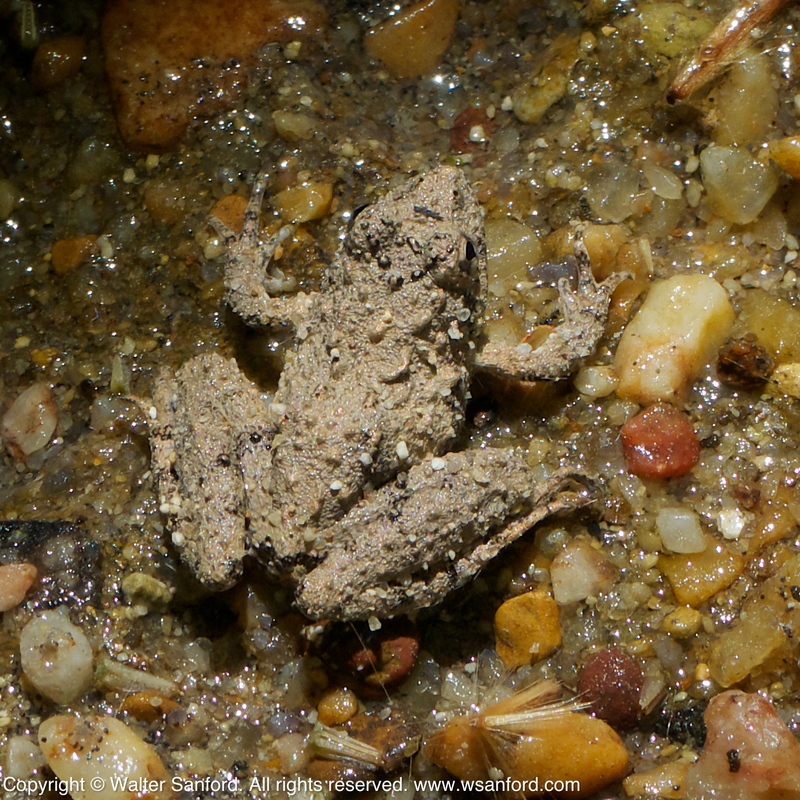 A Northern Cricket Frog (Acris crepitans) spotted in a stream flowing across “Basin Trail” at Accotink Bay Wildlife Refuge, a 1,200 acre preserve located at Army Garrison Fort Belvoir, Fairfax County, Virginia USA. The following gallery shows Six-spotted Tiger Beetles (Cicindela sexguttata) spotted at the terminus of “Great Blue Heron Trail,” Accotink Bay Wildlife Refuge, a 1,200 acre preserve located at Army Garrison Fort Belvoir, Fairfax County, Virginia USA. You are currently browsing the walter sanford's photoblog blog archives for August, 2013.